As more and more companies are migrating from traditional software systems to cloud-based SAAS alternatives, the competition among SAAS providers has increased tremendously. 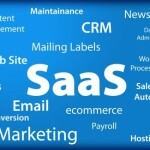 In an article on ZDNet, writer Kevin Kwang says the cut-throat level of competition in the SAAS space has resulted in a lot of providers sacrificing profitability in order to meet their customer acquisition targets. How can they benefit from the cloud? Newly started companies should automate as many basic functions as they can, and that includes cloud, Time Business has stated. Dropbox is a storage and collaboration service that can benefit a small business, while billing and invoice programs such as OfficeTime make those tasks easier. Salesforce handles sales and customer accounts and tracking, and Intuit's specialty is payroll and accounting. A startup can cost you quite high but it’s said that cloud adoption can somehow reduce your costs to some extent. 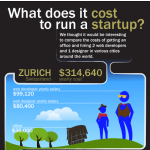 Cloudreviews brings you an Infographic created by staff.com, that highlights the cost of web developers and designer for a startup in different cities around the world. 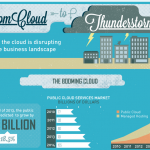 This will give an idea about how much cloud computing can save for the startups. 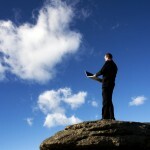 The cloud technology is expanding all over the world at a rapid pace. Its constant growth has changed the business norms and the way organizations run their businesses. Almost everything will be changed, even the job roles in the coming time when cloud technology takes on every business and company. ProofHub, a project management solution provider has also adopted this extra layer of security in its application. HTTPS security protocol has been made the default protocol for all ProofHub accounts thus granting more security to user data. By adopting this much needed extra secure layer in its application, ProofHub has taken the step in the right direction which is going to bolster user confidence in this rich application. This measure is going to benefit big trading houses and a lot of other businesses which operate on a smaller scale making their business information even more secure. 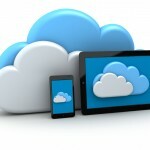 Cloud Computing Industry is continuously evolving at a rapid pace. Research reveals that the industry has faced around three times growth over a period of past five years. It would not be wrong by any means, if we say that Cloud computing is turning out to be a norm in the business world and has moved far ahead of being only a buzzword. Tracking the ongoing growth and analyzing its future success, we bring you a comprehensive Infographic. There is a dire need to raise awareness among the people and educate them about cloud computing so that they can avail the maximum benefits out of it. Keeping this fact in mind, Cloudreviews brings you an enlightening and highly informative White Paper based on the 5 Common Myths prevailing in the Cloud Industry. You will be surprised when you learn the facts, thus making your concepts clear and draining out all the myths from your brains. Creating a website or a blog is not a hectic task nowadays. However, managing and keeping it updated surely are not easy tasks as these require a lot of time and continuous effort. The most common Content Management System (CMS) used all over the world for building websites (including blogs) is the WordPress. Thousands of cases have been reported over the years where website owners lost all their data and database files and could not recover it. ProofHub, an enterprise project management system, has finally come up with an all new feel and look. The buzz has been all around during the past few days about the revamp of ProofHub which is finally out now.The tool will now be offered to the customers with everything improved in t, be it the functions and services or the design of the user interface. ProofHub promises that its users will surely love their effort.